The exhibition takes its cue from the essay Rasters in Paradise by Richard Shiff where he discusses Bridget Riley’s practice in relation to paradise, history and consciousness. 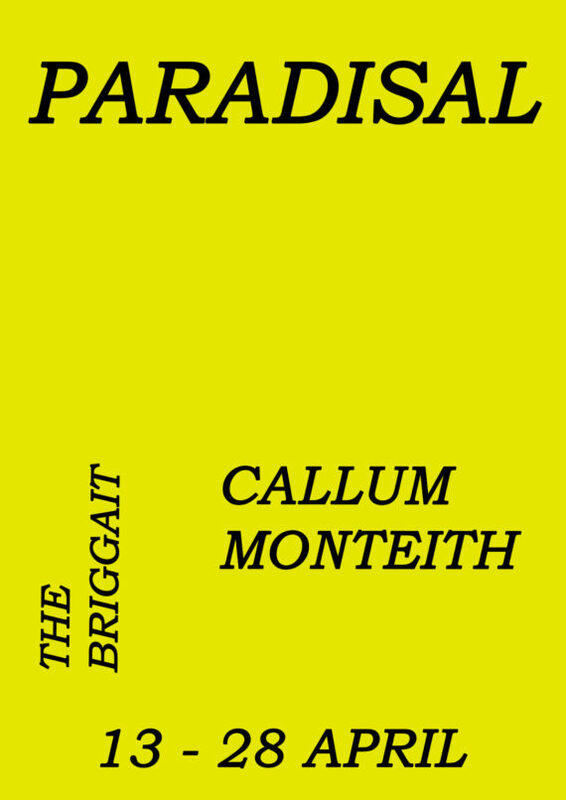 The title for the exhibition takes its cue from the essay Rasters in Paradise by Richard Shiff where he discusses Bridget Riley’s practice in relation to paradise, history and consciousness. With reference to Pierre Schneider’s writings on Henri Matisse, he alludes to the creation of abstract imagery as a form of opening up gaps in perception and thus creating a ‘paradisal element’ – this being the actual production of art in an enduring state of immediacy. For his exhibition Monteith will present new series of paintings that crystallise natural forms; creating flat, abstract compositions of darkly toned plant life that link to Shiff’s idea of aparadisal element. In doing so, Monteith explores the idea of paradise, not just as a physical place containing tangible forms but also a state of mind and therefore linking to our concepts of self in relation to nature, and how this connects to notions of imagination and perception, with this being explored through the rendering of the plant-like forms through an abstract-minimalist design. Monteith will also present a new series of photography that depicts Midsummer Boulevard in Milton Keynes. In its conception Milton Keynes was perceived as a prototype for modern day living in the UK with architectural visions alluding to a utopian community for the 21stCentury. Here, Monteith again draws reference to Richard Shiff’s essay, which begins with a quote from Pierre Schneider, who states: ‘All impressions are first impressions…. The minute it ceases to be first, the impression tumbles from paradise into history…. The more acute historical consciousness becomes, the more it tends to stimulate subconscious opposite. Paradise is the historical unconscious.’With the futuristic vision of Milton Keynes very much now existing in the present – idealism meets realism, paradise meets history, and unconsciousness meets consciousness. Callum Monteith (b.1988) is an artist based in Glasgow. Recent exhibitions include: Shelf Show #3 – Rhythm is Rhythm, Cockburn Street, Edinburgh (2019), OTHER, The Number Shop, Edinburgh (2017) and What Was HereBefore, Civic Room, Glasgow (2016).